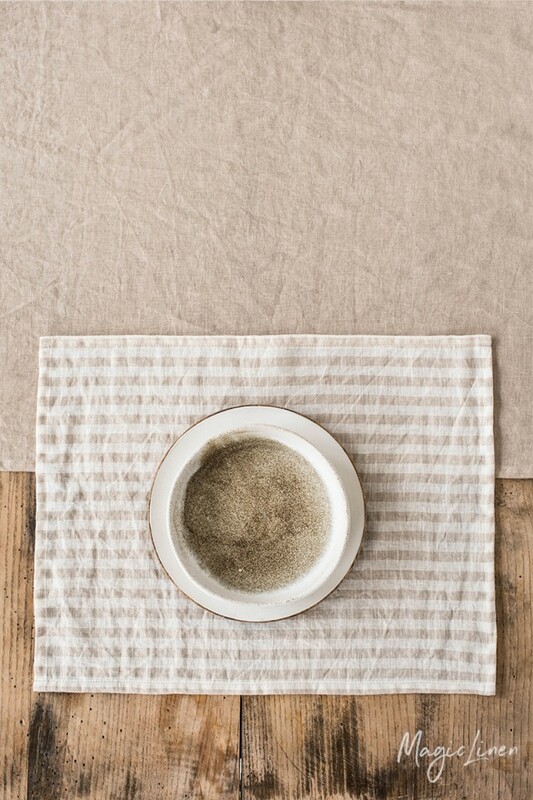 Linen placemat striped in off-white and natural linen color (oatmeal). 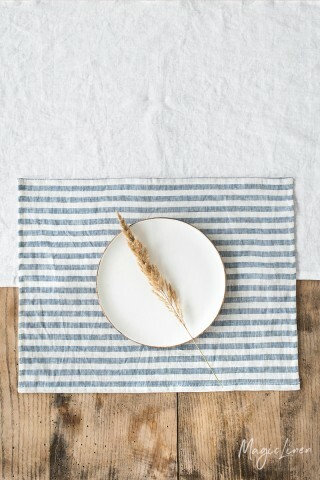 Stripes can go vertically or horizontally, please leave a note when purchasing if the direction is important to you. 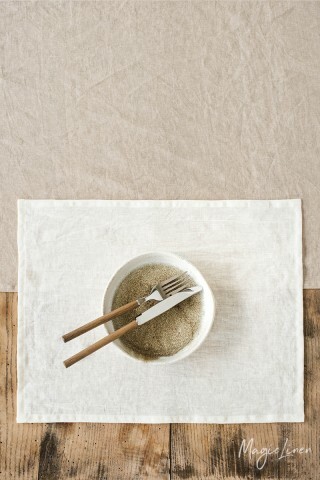 Linen placemats protect your table and let you dine in style. 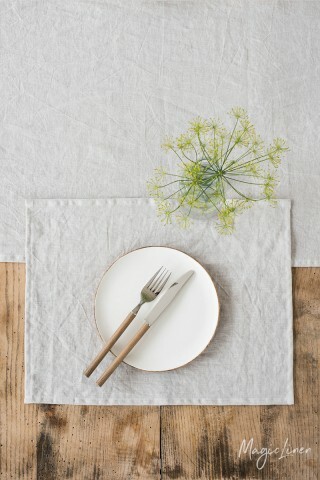 Easy to mix and match with tablecloths, runners, napkins, and napkins.